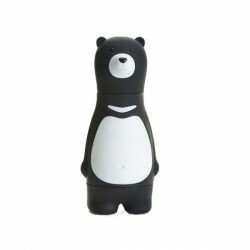 Funny sponge holder that lets your sponge dry while adding a humorous touch to your kitchen. Original razor holder that puts a humorous touch to your bathroom. Keeps your razor away from bacterias and allowing it to dry properly. Easily attached to the mirror or tiles with the included suction cup. 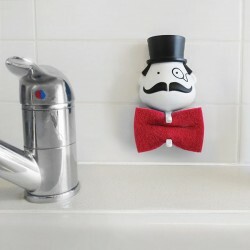 Mr Razor is a real gentleman, he will keep your razor clean and safe when you're not using it. Just hang your razor in Mr Razor's mustache after each use so you know exactly where you have it. 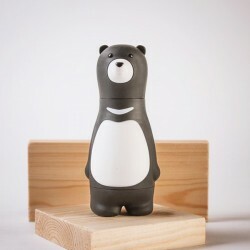 There he will let it dry properly and prevent bacteria to grow while he puts a humorous touch to your bathroom. 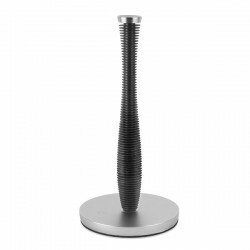 The razor holder is easily attached to any flat surfaces using the included suction cup. Perfect to put it so it's always within reach, like on the mirror or the shower wall. For clean and safe storage of razors. No mounting or screws are required. Dimensions: approx. 9 cm x 8 cm x 6 cm. The razor hangs on two hooks with a gap of about 3 cm.